Printers are the backbone of any printing service. Your printing business needs to offer the very latest in printing technology to be competitive. That's why it's important for printing services to utilise the best models available on the market. How do you know what to look out for when you need to invest in wide format printers for print services? The answer all depends on what your customers want and what your printing business needs to provide. Apart from technical specifications, there are basic considerations like maintenance and output costs to factor in. It's not just a matter of looking at a product brochure and ticking off all the features one by one until you're convinced. It's important to ask yourself the right questions before you purchase a new wide format printer. When it comes to choosing the right wide format printers for print services, ask the experts at Total Image Supplies for great advice. 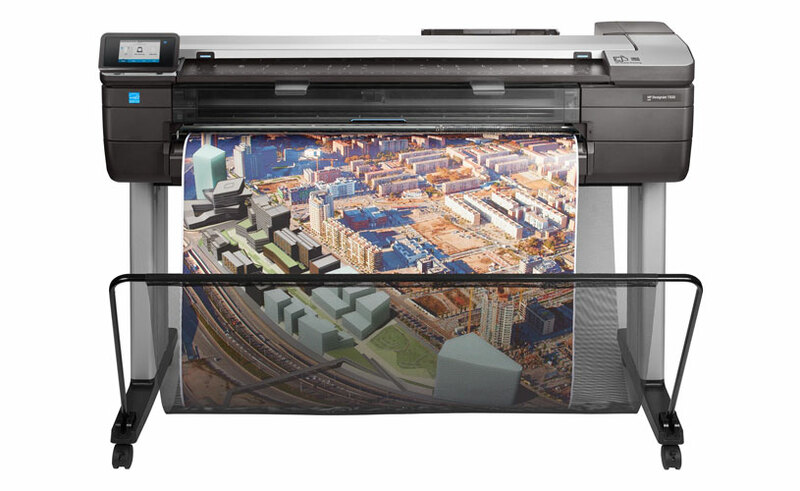 What do you need in a wide format printer? Before you decide on a wide format printer, think about your budget. What's the highest upfront cost your business can afford for a new printer? You'll also need to consider ongoing costs for service and maintenance. Extra attachments will also come at an additional cost, too. Next, consider what types of print media you want to work with. 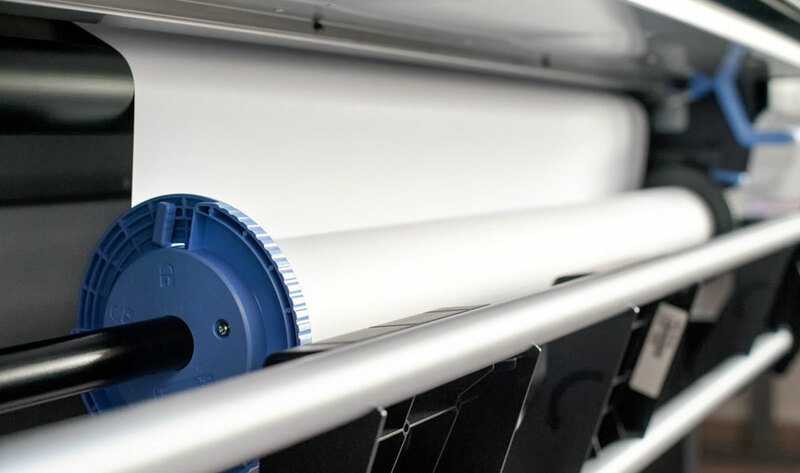 It's always an advantage to have a wide format printer that is capable of producing work on multiple types of print media, such as those with pigment inks. If you want to offer your customers a diverse range of print solutions, you need a printer with a diverse range of capabilities. When selecting large format printers for printing services, contemplate how they will integrate with your business. Is it the right fit? Do you have enough physical space in your office to fit a wide format printer? The interface of the printer can also influence your decision. If the printer's interface is too complicated to use, it may have a negative effect on your office's workflow. What's the output speed like? What's the printer's ink technology? What does the warranty cover, and who can service my printer? Do I need any special software or PC operating systems? All wide format printers come with unique features that are designed to set them apart from other brands. Two important and commonly advertised features include the printing speed per square metre and what ink technology the printer utilises. While your printing speed will drastically influence your productivity, the type of ink technology utilised by your printer will influence the quality of work that your service will be able to produce. Ink technology can also enable you to print on specific types of print media that you may not have been able to work with in the past. Before purchasing a new printer, you should confirm what type of warranty you get with the model. If anything goes wrong, you want that assurance your model will be covered. Like any appliance used on a daily basis, a printer requires regular maintenance. Make sure you have a trusted and reliable printer repair service team on call who is familiar with the brand and specifications of your printer. It's also common for printer repair technicians to offer ink tanks as part of their service. Don't hesitate to shop around and compare prices of repairs and refills until you find a service that is within your budget. Another important thing to consider when choosing wide format printers is how well they will integrate with your office's systems, as some models are only compatible with specific software and PC operating systems. 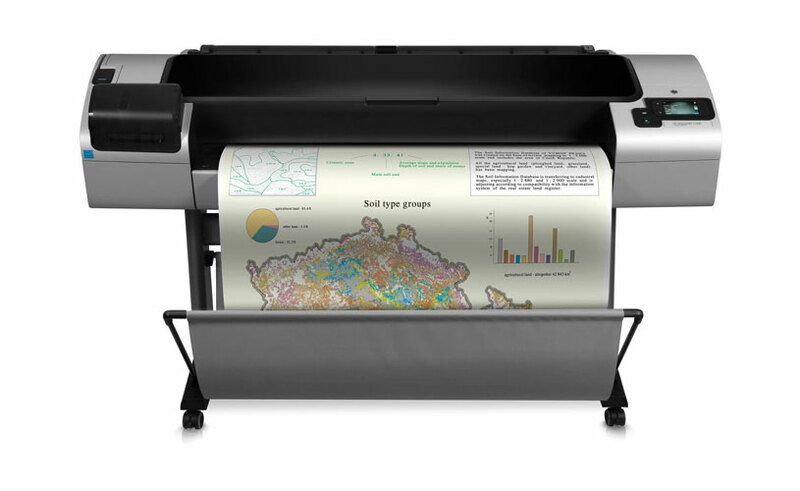 HP Designjet printers are designed for high-demand office environments. They're a great choice for offices that require wide format printers for print services. No matter how many prints you need to produce, your HP wide format printer will always deliver the highest quality result. From vivid colour presentations to black and white CAD drawings, your office will be equipped to reproduce them in a flash. 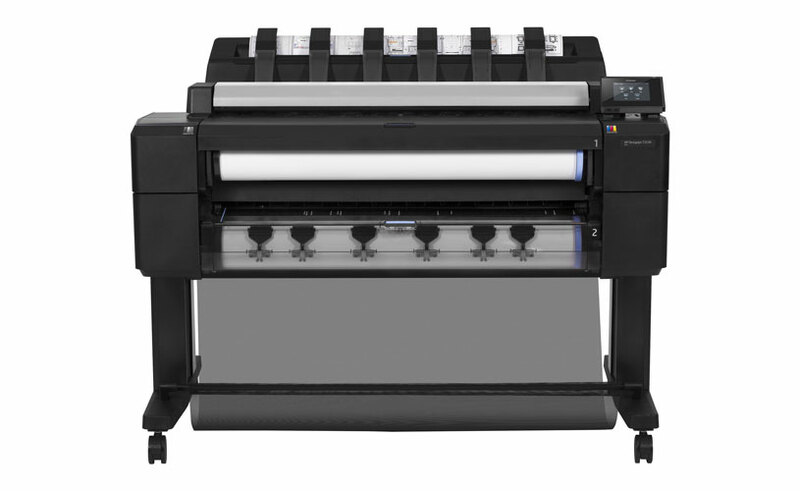 The HP DesignJet T830 is built to perform in a high-demand technical environment. Its rugged exterior casing and big wheels enable it to be transported with ease, while still being protected. It's a perfect choice for any growing office that's on the move. Get fast and professional-quality results every time with the HP DesignJet T2530. With photo black and grey ink tanks, your technical prints will always be printed in crisp and accurate detail. The HP DesignJet T1300 can print a wide range of paper sizes from A4 to A0. From printing plans to posters, and maps, this model can do it all. Files can be printed directly from a USB drive, or you can rely on its networking capabilities to receive a new printing job. HP wide format inks and printheads are designed to deliver stunning colours with a superior finish. Create detailed documents with vivid colours and crisp images every time. 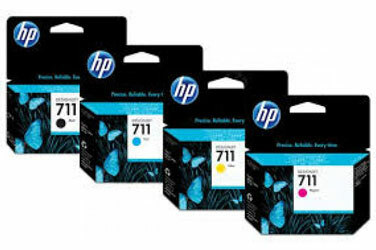 HP inks provide a reliable and versatile printing solution for all wide format printers from HP. Just finished printing a large poster for a customer? You'll need a precision cutting tool to finish the job! There are several types of trimmers available in the industry that are designed to perform various cutting tasks. Total Image Supplies offer a diverse range of trimmers. Manual and automatic trimmers provide various levels of cutting precision and speed to boost your office's workflow. Great signage and displays need protection to ensure that they stay in pristine condition. 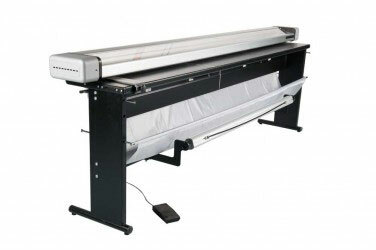 A wide format laminator can be used to apply a protective film that protects graphics from dust, dirt, and grime. 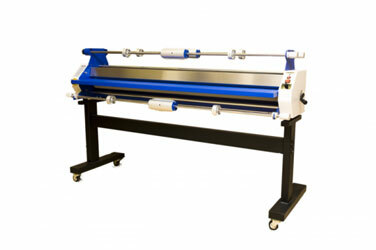 With a wide range of laminators available from Total Image Supplies, you're sure to find a model that suits your application and budget. When you need purchase advice for wide format printers, look no further than the experts at Total Image Supplies. We're happy to answer any questions you have, no matter how technical or specific they may be. Contact us today, and we'll recommend a wide format printer model based on the needs and goals of your business. We have established relationships with top suppliers, such as HP and other reputable brands. We'll provide you with sound advice to help you make an informed and confident decision. For more helpful and friendly tips for choosing a wide format printer, contact us today.